Cruel Necessity by Victory Point Games was one of the first true solitaire experience games I ever purchased and it still sits proudly on my shelf, for good reason. 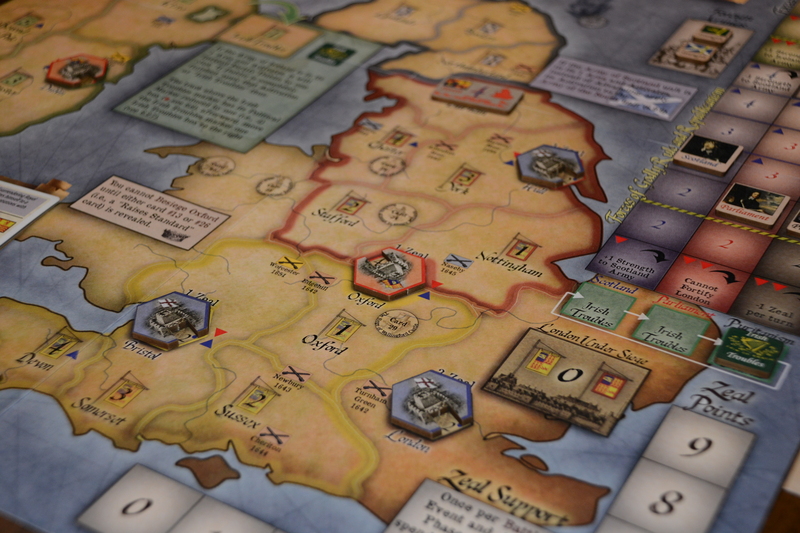 Designed by John Welch, the game is a States of Siege™ game that simulates not only the military battles that were going on at the time but also mimics the political and religious struggles during the English Civil Wars of 1640 to 1653 as you attempt to further Parliament and Puritanism. You can play each civil war individually as scenarios or play the full campaign (all three civil wars) with all three decks of event cards. 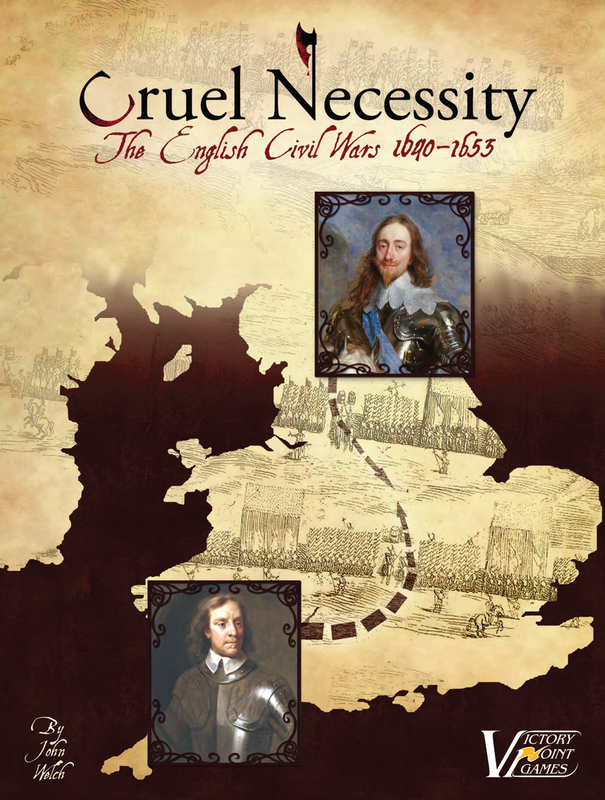 Although these event cards are randomized they do contain meticulously researched flavor text that gives the player an insight into the events occurring in England during this tumultuous time and how those events are reflected in game play through the movement of military forces and the influences of politics and religion. Organizing the event cards in chronological order, provides the player with a more historical reference from with which to enjoy the game. Each turn an event card is played that can cause enemy armies to march toward their fortresses or besiege yours. They will adjust the various political markers on the political tracks (which include the Monarchy, Parliament, Puritanism, Catholicism, Scotland and Ireland) and possibly give you die-roll modifiers (DRMs) which can assist you in bumping those political tracks into a more favorable position. Lastly, you may acquire more Zeal points or lose some. These Zeal points are essentially action points that you can use to push invading armies away, increase the strength of your Royalist held fortresses, purchase Achievement cards that gain you victory points if you can complete them, or you use them for other actions. You can save Zeal points and carry them over to a future turn however, most times, you will be spending them all as the game is tense and there is quite never enough Zeal points to go around. The Battle Mat may be a little busy but all the information you need is printed on it. During the game, event cards will trigger battles. You will leave the main game map and carry out tactical skirmishes on the Battle Display Mat. 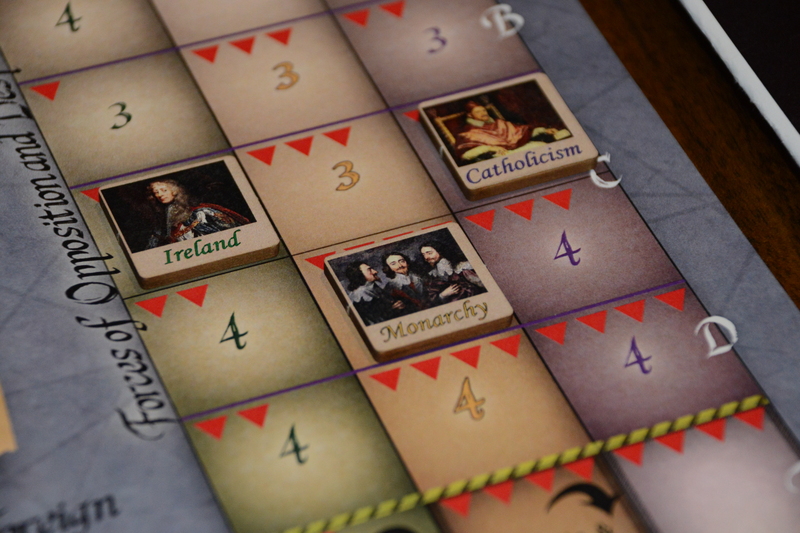 Your Royalists pikes and cavalry will encounter the better-equipped Parliamentary units. 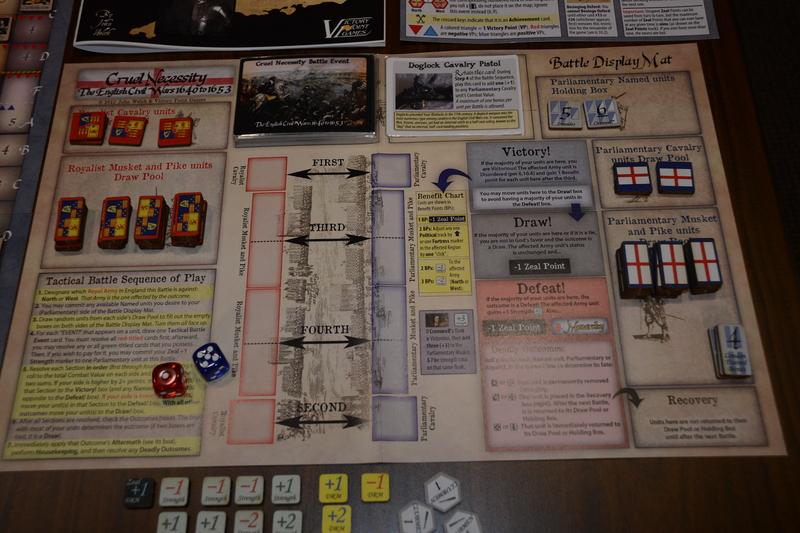 Die rolls can swing the battles from a slight win for the Royalists to your crushing defeat. Historically, most battles ended in a draw. Additionally, you may be able to play Battle Event cards that can both help or hinder you. These battles are quickly resolved and are representations of “push of pikes” combat of the day. 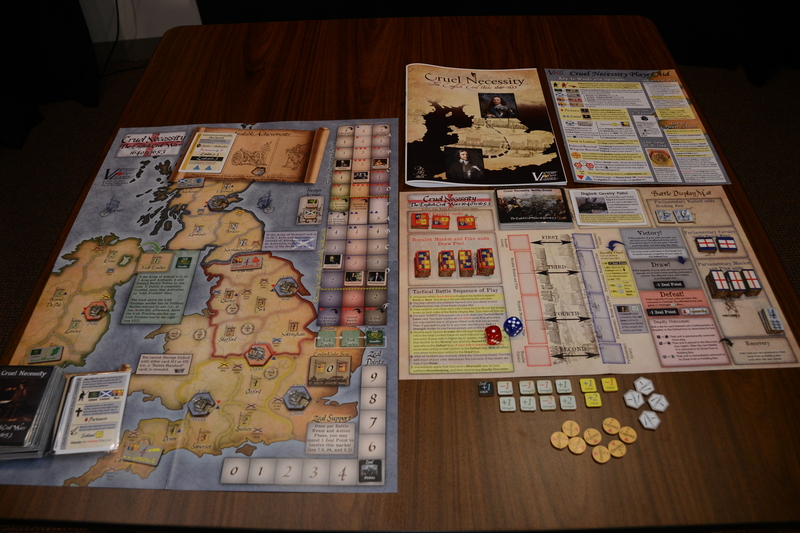 Alternatively, there are optional rules that simplify the battles portion of the game and are diluted down to a single die roll and checking a table. Once the battle is resolved, you will return to the event card following the event on the card in sequence. I wish the map board was mounted instead of being two halves on thin cardboard but sadly it is not however a separate deluxe map board is available for purchase separately from VPG. Plus, you have to like that burnt smell you get when you open a Victory Point Games box. For those that don’t know, VPG cuts their counters using a laser cutter. They are cheeky about it by including an official VPG napkin for cleaning the soot off the edges. I’m used to it and although it’s their m.o., some gamers may not be accustom to it or even like it. Lastly, the rule book is in case and rule format and is a bit of mess. 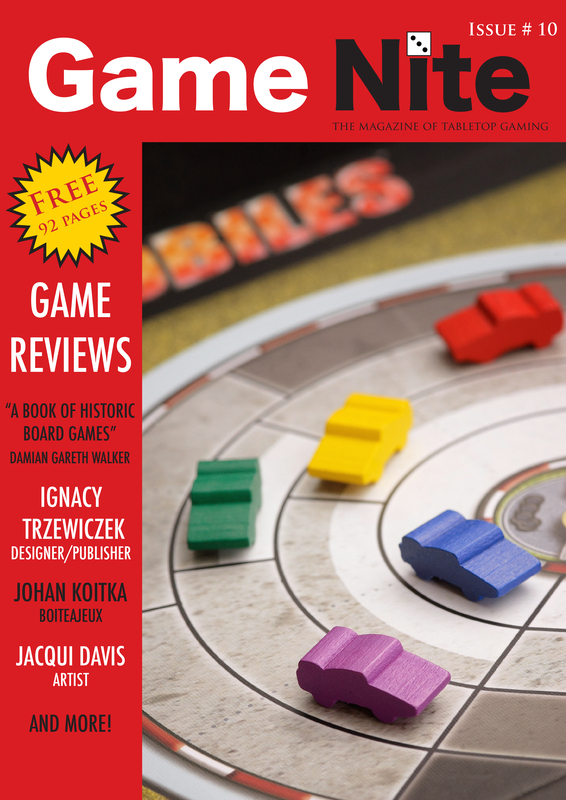 Lots of different shaded boxes, colored and highlighted text – it’s all a bit much to look at but the book is thorough and has plenty of illustrations, examples of play, and insights into the game and its various ideas and concepts as presented by the designer. Tracking political influence in the game. All that aside, this game is one of the best solitaire games on the market. This is not an easy game to win and you will lose more often than not. Although you are trying to gain as many victory points as you can, there are degrees of victory and degrees of loss. A lot is going on as you manage the ever present pressure from Scotland, Ireland and other armies besieging your fortresses. Event cards trigger battles where the game switches to the battle mat for that “roll your battle dice” distraction. Achievement cards give you VPs at the end of the game as you attempt to fulfill certain requirements which usually revolve around the political tracks and that influence that can affect your points positively as well as negatively. In conclusion, it’s a simple game, the rules are not complicated and it’s all easy to grasp. However, there is a lot to manage as you make decisions as to whether or not you should roll that die again to boost Puritanism now or save that Zeal point for something else later. Great tension and excitement in die rolls and that flip of the card! The game has a lot of historical information that ties into game play and this integration makes Cruel Necessity not only a fantastic board game but also a brilliant learning experience.